I have felt like scrapping lately, though I kept getting frustrated or distracted and all weekend wanted to scrap but didn't get to! 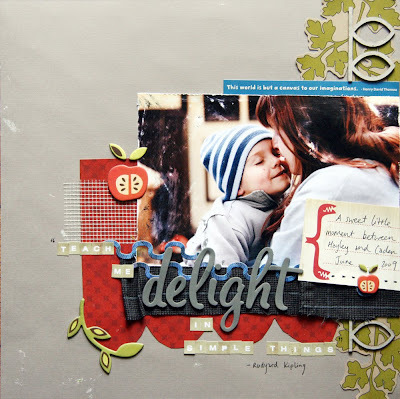 So this week I have been determined, and yesterday afternoon I scrapped this layout for a challenge on the Aussie Scrap Source blog - they post the entries and have a poll to vote for your fave, check it out here. 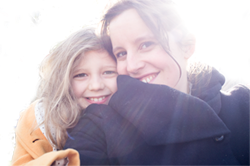 And the layout uses a photo of my sister Hayley and her little boy that I took earlier this year when they visited. I voted! that was fun. 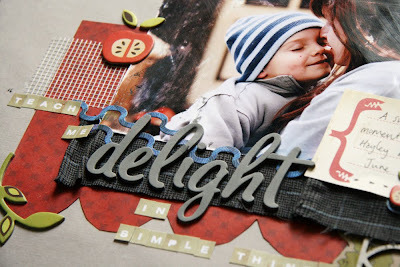 I love the softness of this layout, and with the red combined its just lovely. ..and delightful it is! Love your stuff DQ! !